Humor adds spice to life, and this spring, Thurston County offers several venues and production companies to catch live comedy shows and even workshops to be part of the fun. 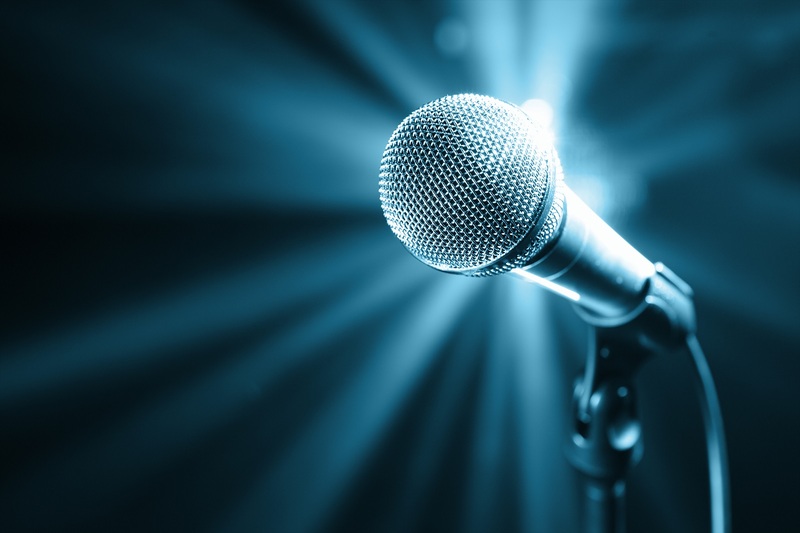 Tickle your funny bone with comedy and laughs all around Thurston County. Find affordable fun with local comedy shows and opportunities for local amusement without breaking the bank. Formerly Date Night Comedy, South Sound Productions offers fun activities for anyone and families, not just couples. Their main goal is to get people out from behind devices and enjoy quality time together. The best thrifty deals are found with pre-sale tickets for shows. For a night to remember and full of belly laughs and great food at Rurup Farm in Yelm see Laughs at the Farm with Taylor Clark on April 13 at 5:00 p.m. This 21 and over event includes dinner and a show for only $50. An amusing show on April 27 in Yelm is Comedy at Quarter Mile ft. Ash’Ley Rushin. Beginning at 8:00 p.m. this show is sure to get the laughs rolling for only $15 online. On May 18, get a giggle with HAHAS at Quarter MILE ft. Sam Miller at 8:00 p.m. also with pre-sale tickets for only $15. 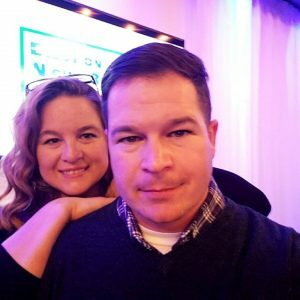 Owner of South Sound Productions Jennifer McMillen has a heart for giving back and all April, comedy events will include a donation to the North Thurston Education Foundation‘s 2019 Sponsor a Senior. During May, comedy shows will have a donation to Redefining You Foundation supporting female veterans and military spouses. The Washington Center for the Performing Arts 2018-2019 season is very comedy-heavy and includes the monthly Comedy in the Box Series. With regional and national comedians at the unique and intimate venue with a full bar, the Black Box Theater has a new lineup of three comedians for each show at only $25. 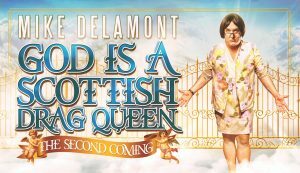 For the second year, tickle your funny bone with God is a Scottish Drag Queen 2 on May 4 at 7:30 p.m. Last year’s show was very popular so make sure to get tickets for this unforgettable entertainer and comedian Mike DeLamont now. For access to more laughs at the best prices, purchase a season subscription. Comedy fans can buy a package of comedy shows and receive a discount. Check with the box office for information on senior, military, student, and group discounts. Baurice Nelson’s involvement in comedy production started in 1995 at the former Tyee Hotel. Under his own production now, he does two or three shows a year exclusively at the Washington Center for the Performing Arts. The next big show is the start of a new Annual Comedy Showcase on June 7 at the Washington Center with other dates to follow in Tacoma, Everett, and Boise. This show HaHaPalooza features Dwight Slade and Kelsey Cook for national acts, plus local popular comedian Mike Wally Walter and more. Tickets for this laugh-packed two-hour show are on sale now for only $15-$30. There are discounts available to students, first responders, military, and seniors. For all-ages laughs, Olympia Family Theater engages audiences of all ages in performances and programs that entertain and educate. Passionate about offering the community a thoughtfully selected season of theater for young audiences, and creative drama classes and workshops, Olympia Family Theater works hard to make programs affordable for families. Get in on the fun with workshops such as Foundations of Improv. This adult workshop is April 14 from 12:00 p.m. to 4:00 p.m. with a sliding scale fee from $40 to $60. Whether you are a beginner or looking to hone your skills, instructor Rebecca Rogers will get your imagination and creativity going. 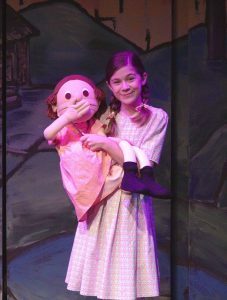 With a title, The Nose That Ran Away From Its Face the laughs start right away with a free show April 5 at 3:15 p.m. performed by the spring break campers age seven to 13. There is a pass the hat to collect donations for the theater’s scholarship program. Beginning with a huge sneeze, a boy loses his nose in this quirky, comedic journey directed by Claribel Gross and assisted by Chuck Meares. The pun-loving nose celebrates newfound freedom, while the nose-less boy frantically searches for his wandering facial feature.